The way in which our immersions and intensives run are very much experiential and experimental! The emphasis always rests on the students to explore the topics themselves under our guidance. Rather than simply transferring lots of information to be remembered...which is a largely pointless and boring exercise, we work on the basis of 40% guidance and 60% questions, with you doing 60% of the hard work! That way you will really get to grips with the units as you study them, developing a deeper long-term understanding, rather than superficial fading memories. We certainly don't believe that one person should be responsible for delivering their opinions to others on a course of any kind, especially this one where the emphasis is to encourage an exploration of your 'own path'. So we have pulled together some very special and highly respected teachers from across the UK to deliver parts of the course which they are especially passionate about. Feed off of their experience and apply it as you feel is right for you. You can find more information on the various units and specific course tutors below. ​Dan Peppiatt-​Dan took up yoga over twenty years ago after a variety of physical symptoms resulting from anxiety. He spent many years as a science teacher after a stint at medical school and combines his teaching experience and scientific background to explain things in a clear, logical and non dogmatic way. He truly believes that there is a perfect form of yoga for everyone, we just have to trust ourselves to find it! Dan is the founder of Yoga Like Water, if there is such a thing and teaches widely at studios across the country to both students and existing teachers of yoga.​ He loves bringing together such an amazing group of teachers and students to play, laugh and have fun! He is unlikely to be found on a yoga mat very often, but is generally discovered on a surfboard, hanging off of rocks, slacklining or falling off of a perfectly good skateboard. He also runs North Devon yoga Centre with his wife Gemma and a team of fabulous local yogis. ​​LOLO LAM - Having closely observed the consequences of inactivity and a poor lifestyle whilst working for many years as an intensive care nurse, Lolo is passionate about getting people on the mat – happy, raging, crying or laughing she’ll take whatever you’re bringing! Lolo teaches the dynamic, Ashtanga inspired, Rocket system, created by Larry Schultz . Her classes combine a powerful yet nurturing energy with a mischievous sparkle, balancing out strength with flexibility and hard work with playfulness. 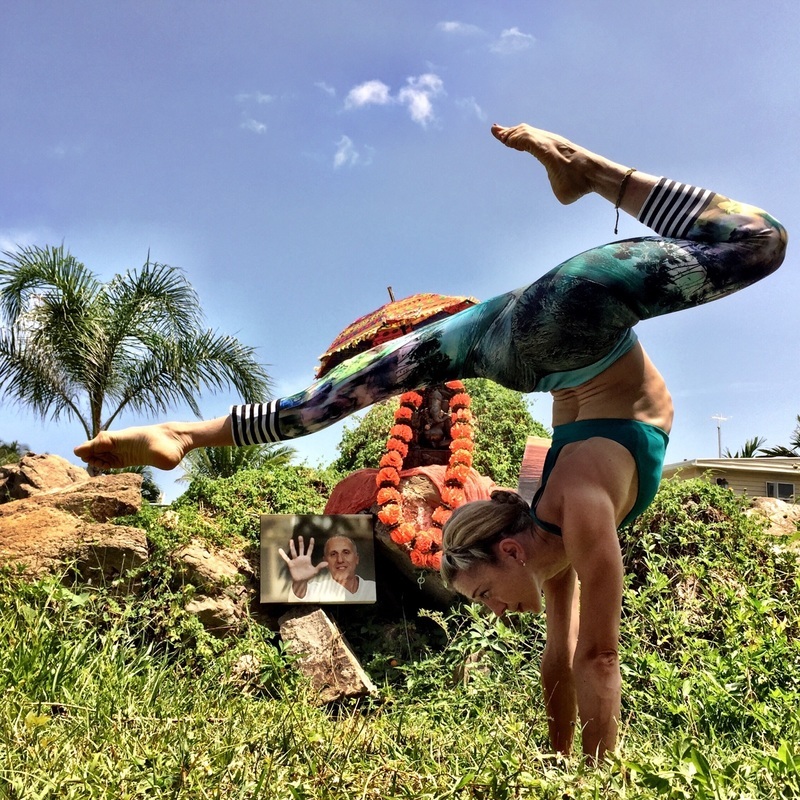 With the emphasis on connecting breath and movement, she enjoys challenging her students to find a deeper level of practice that transcends the physical asanas. Lolo is one of Londons most popular teachers and can be found at Indaba and Yogarise Peckham amongst other haunts. JACOB SMART - Dancer, tricker, choreographer and movement coach. Jake originally studied at London school of Contemporary Dance. Since then he has worked with companies as diverse as Punch drunk, ENO, Raymond Gubbay opera company, C-12, STREB Extreme Action Hero Company, Harnisch-Lacey Dance Theatre and Parkour dance Co to name a few. Out side of performing, Jake just loves to teach and pass on everything that he has learned so far. Having done various teaching/coaching qualification with the likes of Cirque de Soleil and a PETTLs diploma he has worked with people of all ages and places, and amongst his many hats is the Acro tutor at the national centre for circus arts. He runs his own movement coaching company called Primitive Movement-an approach fusing ancient lore and medicine with elements of ritual and of course, dance, acro and parkour. Where the old meets the new we are able to delve deep in to our primitive mind! Ash Bond is one of Bristols most popular teachers, with good reason. She likes to play! 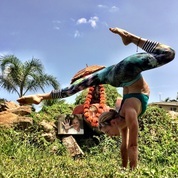 Whether it is dynamic and uplifting acro yoga or calm and restorative Ash is happy to experiment and get her students involved in things that they never dreamed of doing.She is also an experience Thai Yoga massage practitioner and combines many of these techniques with her more conventional yoga lessons. As a previous school teacher like Dan she has a natural way of explaining things from years of working with students of all ages. Gemma Peppiatt- Gemma is one of the most chilled and gentle souls that you will ever have the joy of meeting! Although she will leave you wondering how one person can be so relaxed with the world! She specialises in yoga therapy, yoga nidra and yoga for pregnancy and brings a taste of these skills to the 200 hour course for further investigation. She can generally be found in the corner of the room during TT sessions, observing students, making notes to feedback and giving Dan a very serious look when he starts to get too ridiculous! Kiki Bosch is a biohacker, free diver and extreme adventurer. She dives and swims in some of the coldest places in the world. Through the cold, she finds a connection with nature, with the world around us. Passing this connection forward is her aim. To connect with ourselves, centre ourselves and find the primal powers we all have within. Kat Farrants - Like it or not, if you are going to teach then you will at least want to give yourself a chance of filling your classes. As the founder of 'Movement for Modern Life' - probably the UKs most popular online wellbeing website, Kat is a genius of blending her passion with business without losing her integrity. This unit explains some of the must do's for creating the perfect business balance as well as some of the pitfalls that you will probably want to avoid!